In January, we posted a blog outlining five important reasons why excel spreadsheets were not to be trusted for implementation of the ASC 606 guidelines. Today, we’ll expand on the first point, “Excel is error-prone”. Barclays acquired 179 trading positions by accident when their Excel spreadsheet was reformatted by an associate. A first-year law associate was brought in after-hours and asked to reformat the list of contracts Barclays was to acquire after Lehman Brothers declared bankruptcy. When the sale closed a few days later, Barclays was forced to take the losses on an additional 179 contracts that were not meant to be included. Economists Carmen Reinhart and Kenneth Rogoff published a ground-breaking paper that supported major budget cuts and unemployment after the financial crisis. However, their Excel spreadsheet was proven to include several coding errors that challenged the validity of their research. The Utah State Office of Education found a miscalculation in funding that cause the state’s education budget to be short by $25 million. The Desert News, Utah, reported that a faulty data entry in a spreadsheet used to calculate “pupil units” caused the miscalculation. As a result, the associate superintendent and director of school finance submitted their resignations. The list goes on. And although many of the stories mentioned above extend beyond the revenue management ecosystem, they bring to light a crucial point: spreadsheet mistakes, no matter how small, may ultimately affect shareholders in a big way. “Excel just wasn’t designed to do some of the heavy lifting that companies need to do in finance”, Paul Hammerman, a business applications analyst at Forrester Research Inc. recently told the Wall Street Journal. Revenue Managers have much more important decisions to make, and they shouldn’t be dealing with these Excel manual lifts. Adobe’s finance chief, Mark Garrett would agree, quoting to the WSJ, “I don’t want financial planning people spending their time importing and exporting and manipulating data, I want them to focus on what is the data telling us.” He is working on cutting Excel out of this process, he said. Accounting and advisory firms are also urging revenue managers currently reporting in compliance with or implementing the new FASB/IASB Standard ASC 606/IFRS 15 to solely rely on spreadsheets as a backup. 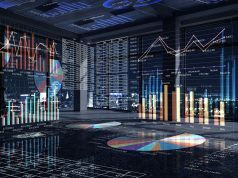 The more complex the revenue recognition scenarios, the more cumbersome and time-consuming spreadsheets become, and the higher the risk for error becomes. Don’t be intimidated by the thought of transitioning your revenue management system out of spreadsheets. Implementing revenue software doesn’t have to be a lengthy or painful process. With quick installs and full compliance with the guidance, Revenue Manager’s benefits greatly outweigh the risks associated with spreadsheet errors. For more information on our Revenue Recognition software, please reach out to a Softrax representative at (972) 715-4028 or sales@softrax.com. Next articleAre there “Get Out of Jail Free” cards?